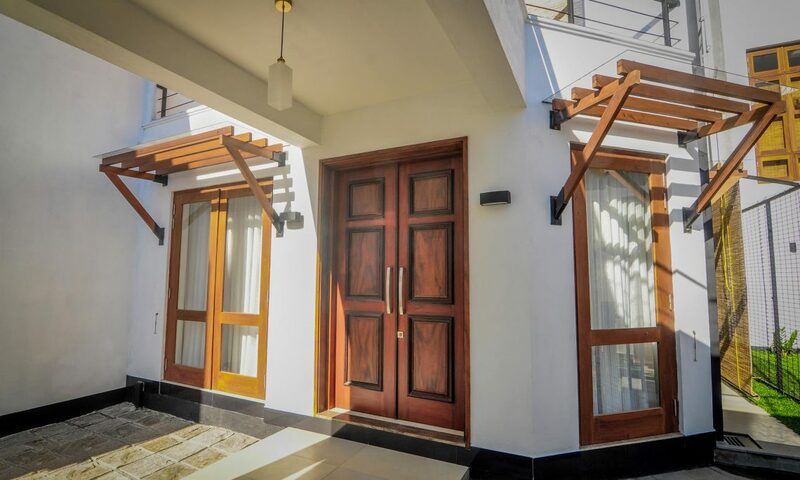 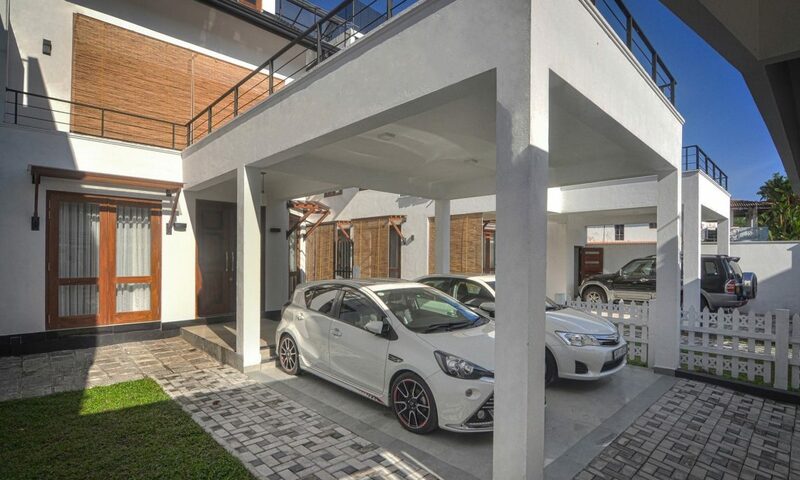 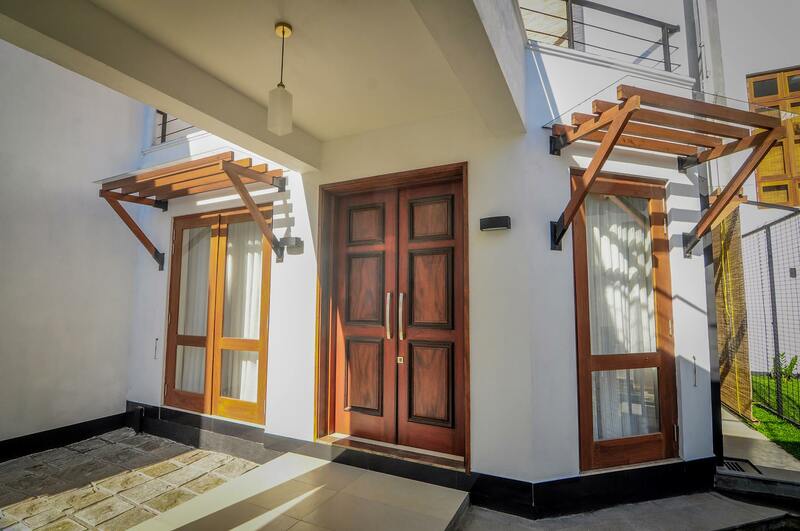 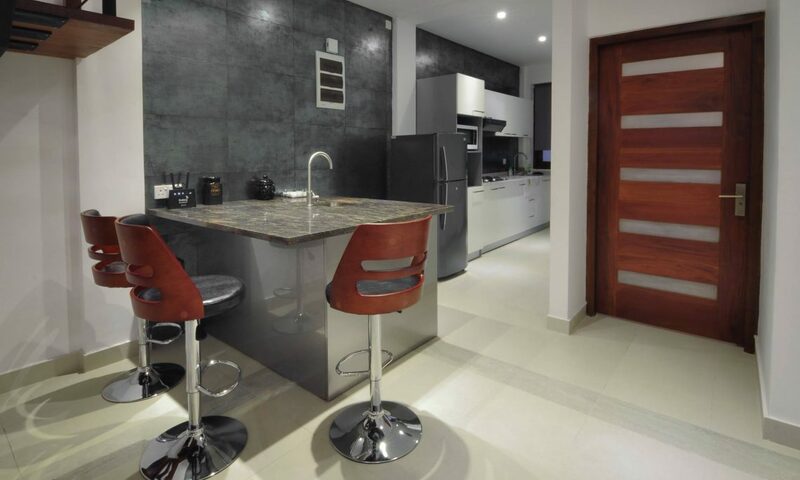 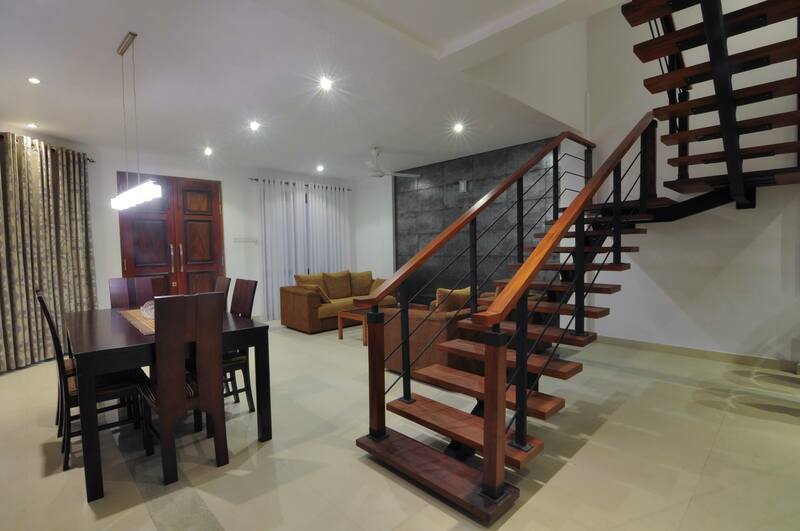 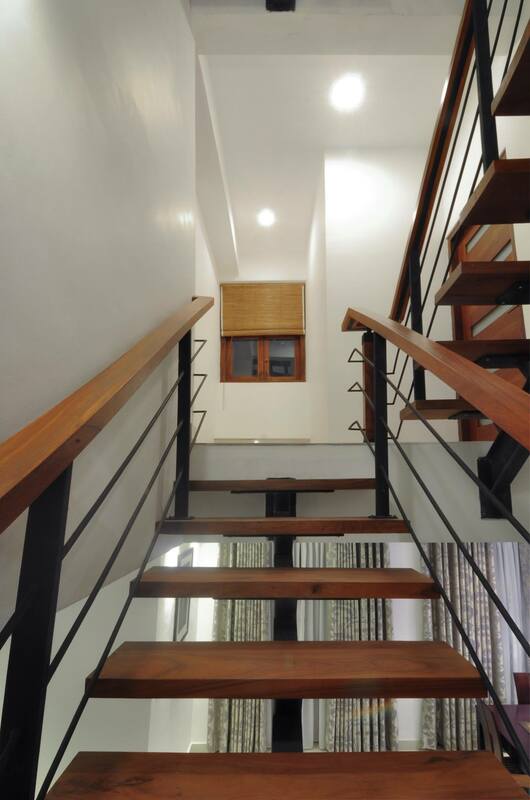 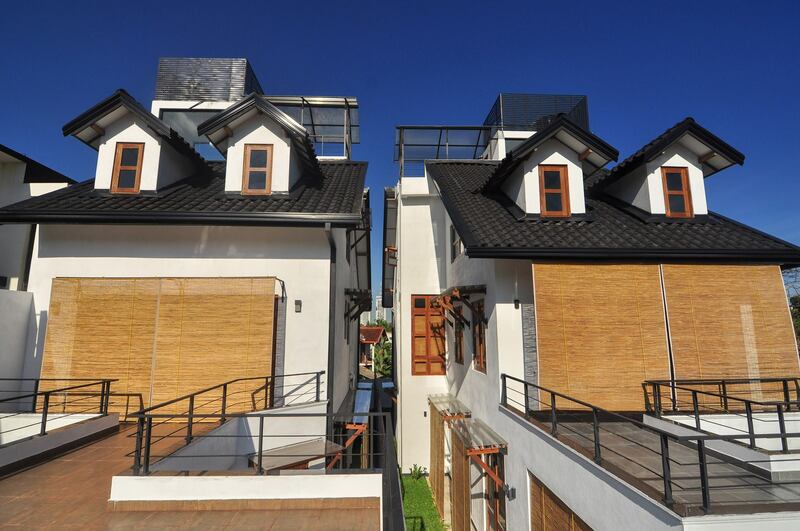 A twin house designed for the client’s two sons in an adjoining urban block of land in Rajagiriya was the brief. 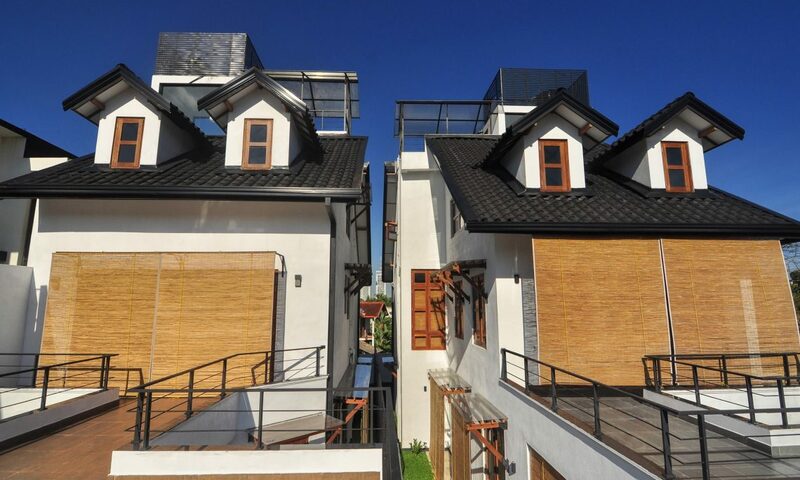 The houses were designed for the two sons and their families to grow independently or together. 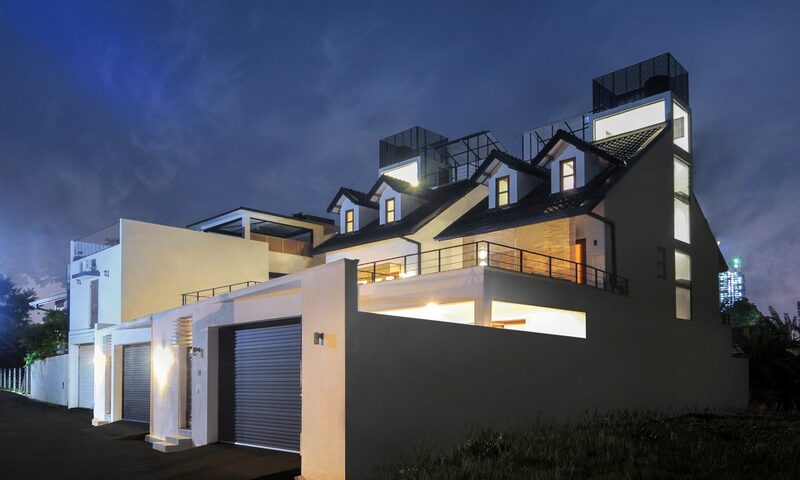 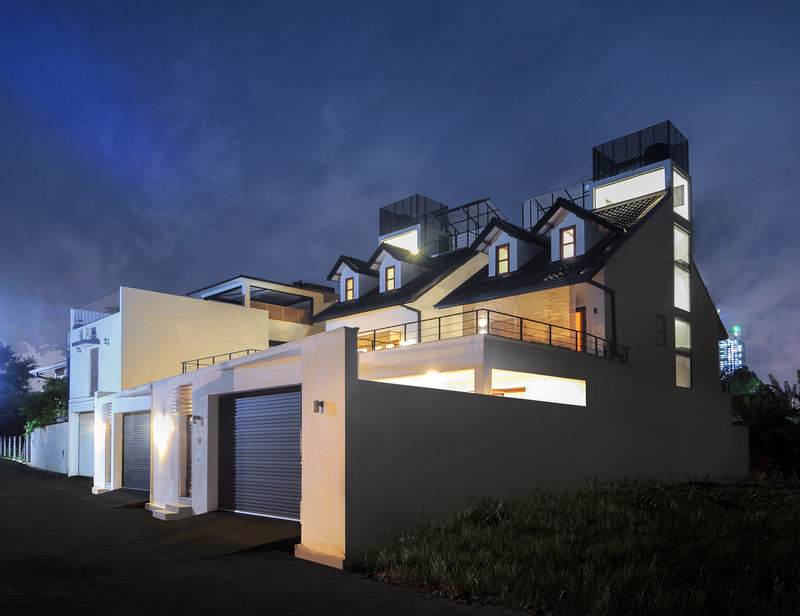 The result of the client’s dream was a three level, three bedroom with an attic studio space suburban scale sculpture. 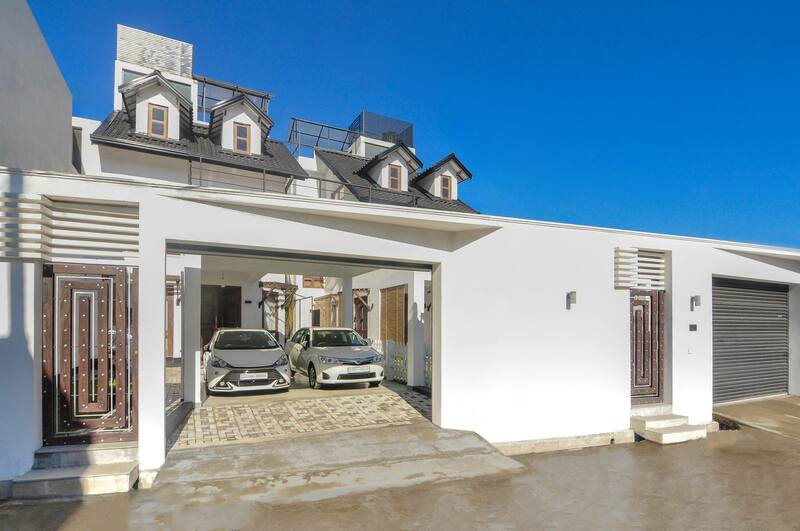 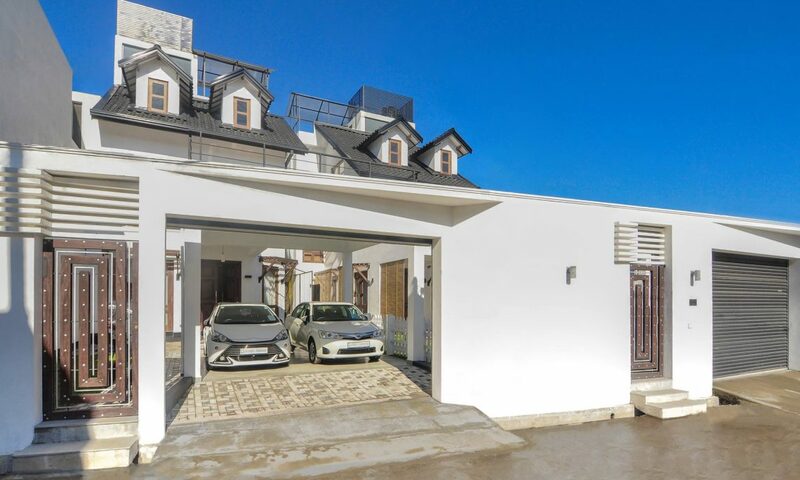 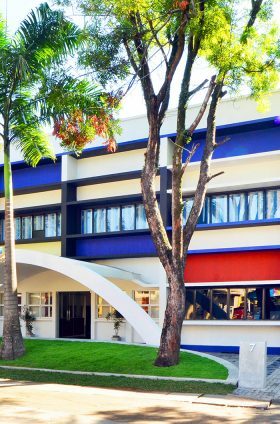 Situated on a site in an inner Colombo urban suburb the twin house is set back in the front of the block, to create the car port and services area at ground and roof terrace above capturing the picturesque view of the Heen Canal. 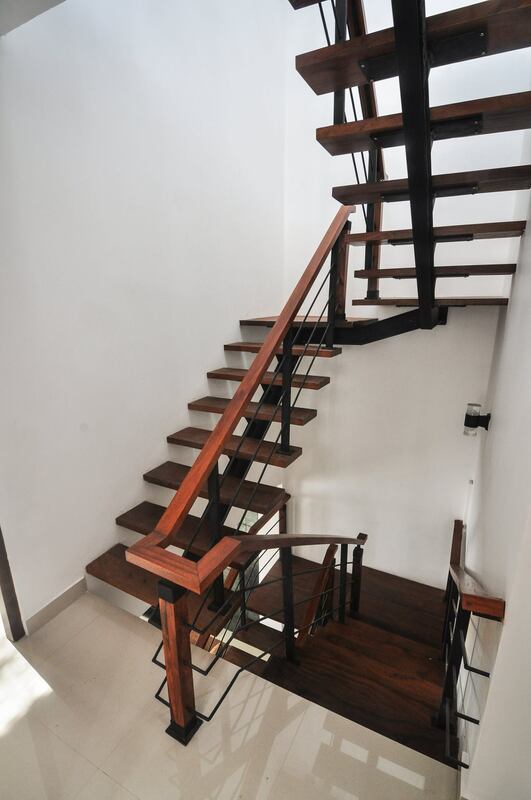 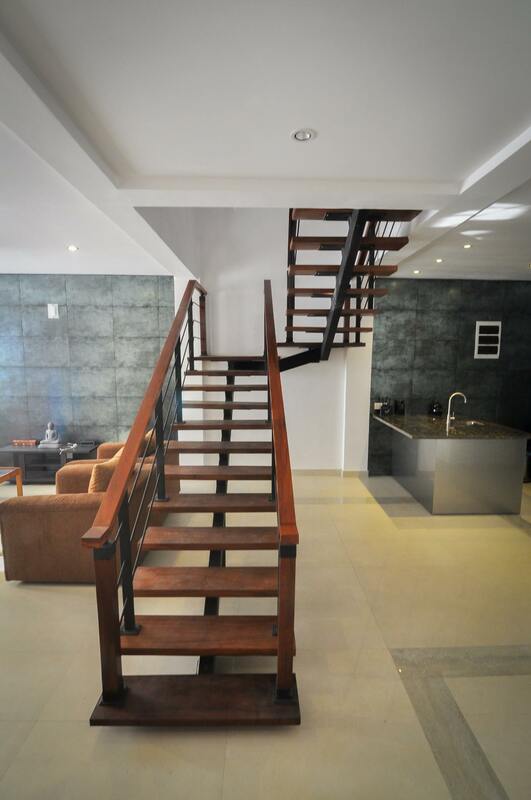 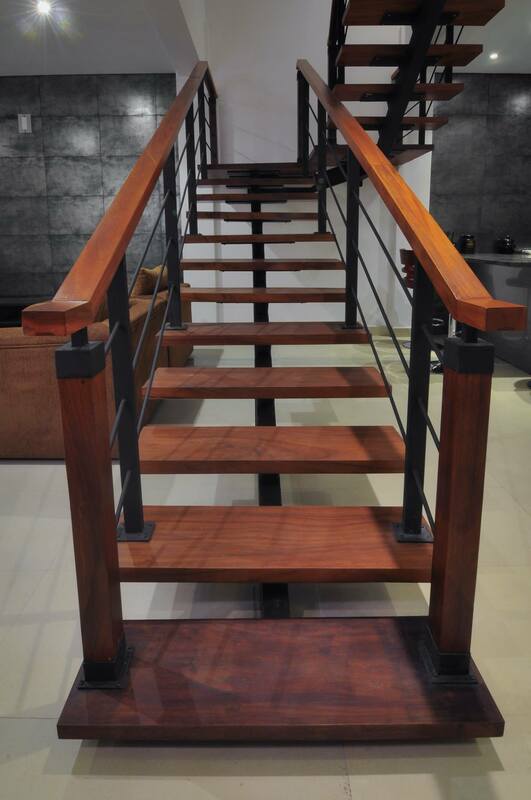 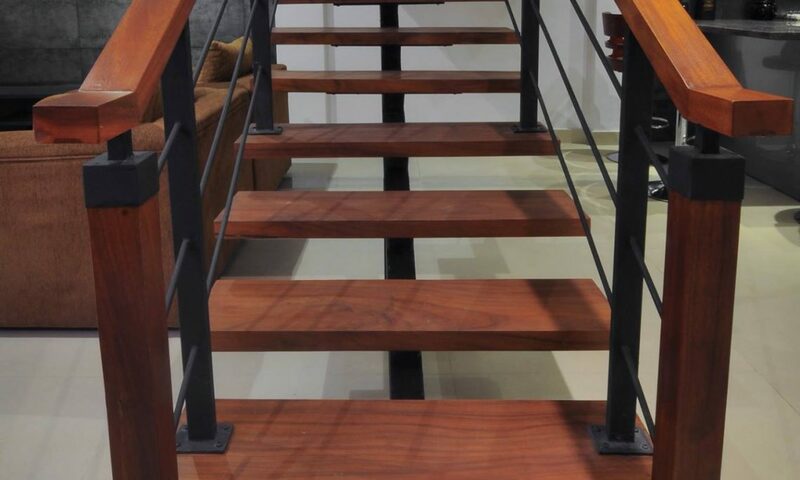 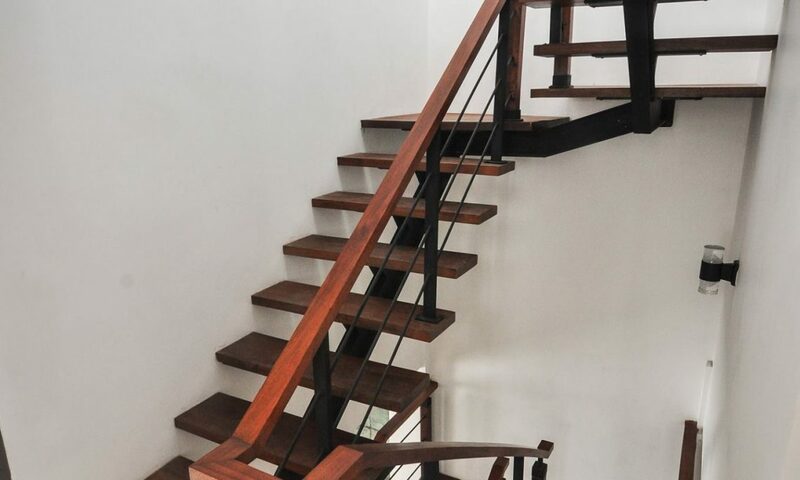 The open plan ground floor with living, dinning and kitchen defined by the timber and steel central staircase which acts as a sculpture with a combination of lower height walls. 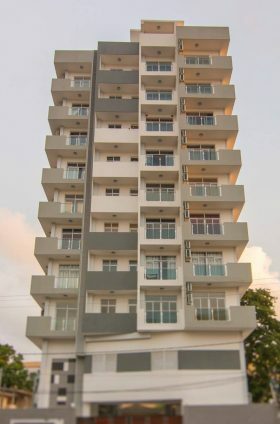 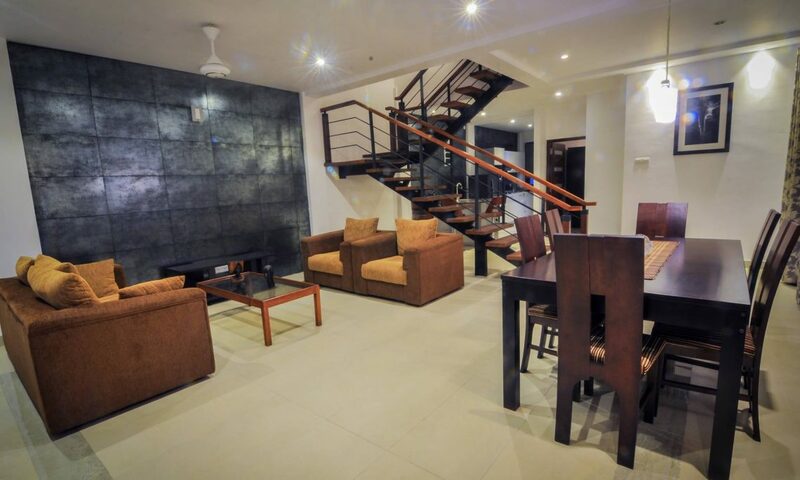 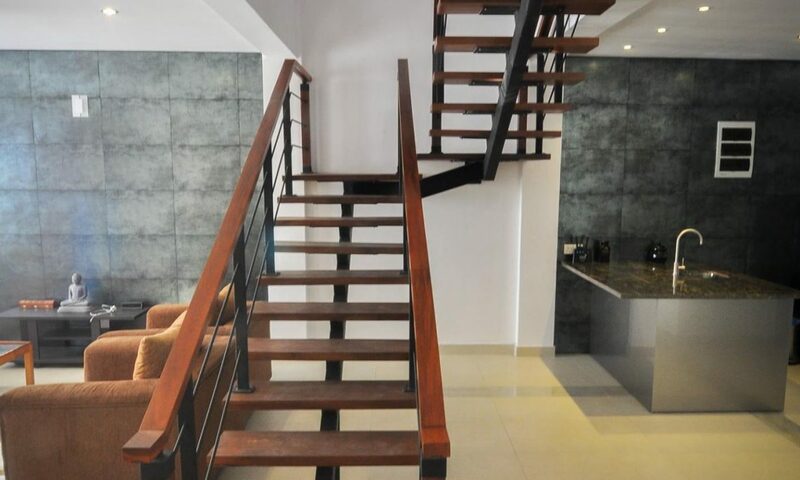 Bedrooms are located across second floor and third floor towards the rear of the block overlooking the booming Colombo skyline, which is organized around the central staircase providing natural light and cross ventilation. 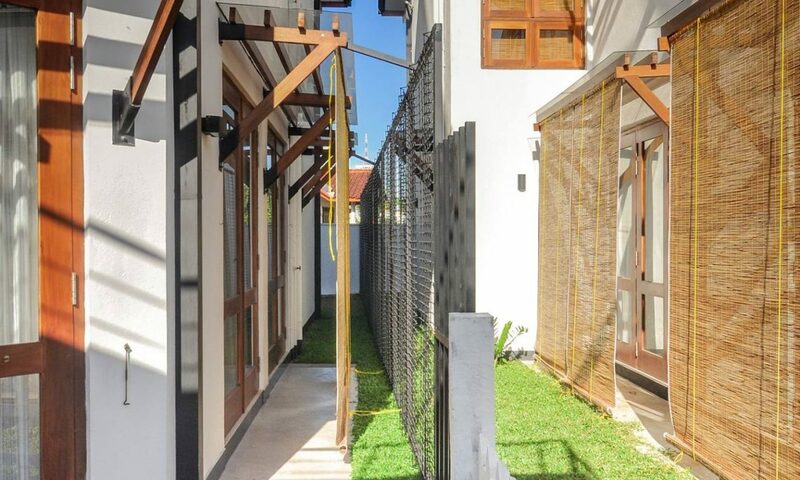 All three bedrooms includes its own en-suite and walk-in robe. 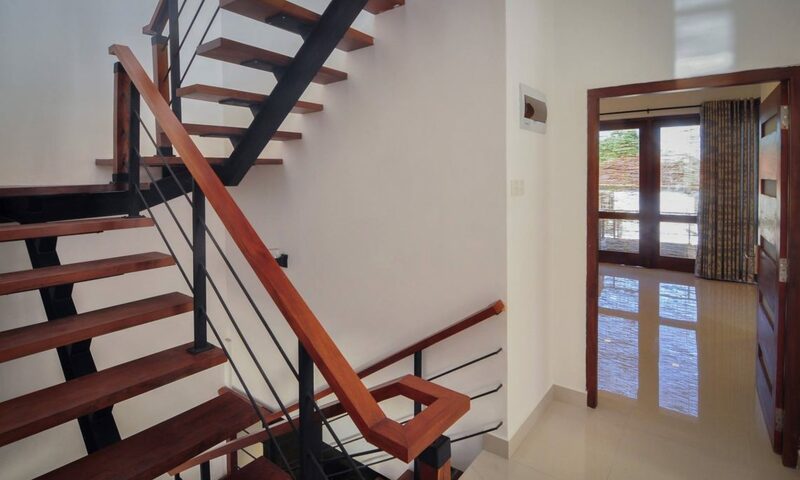 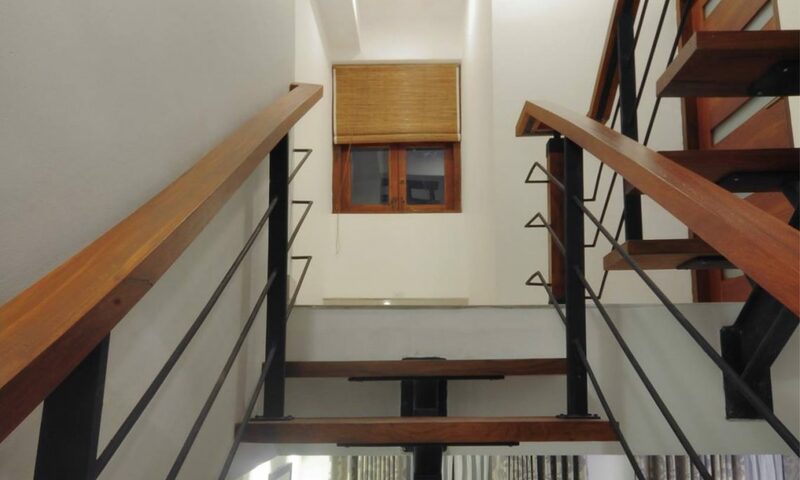 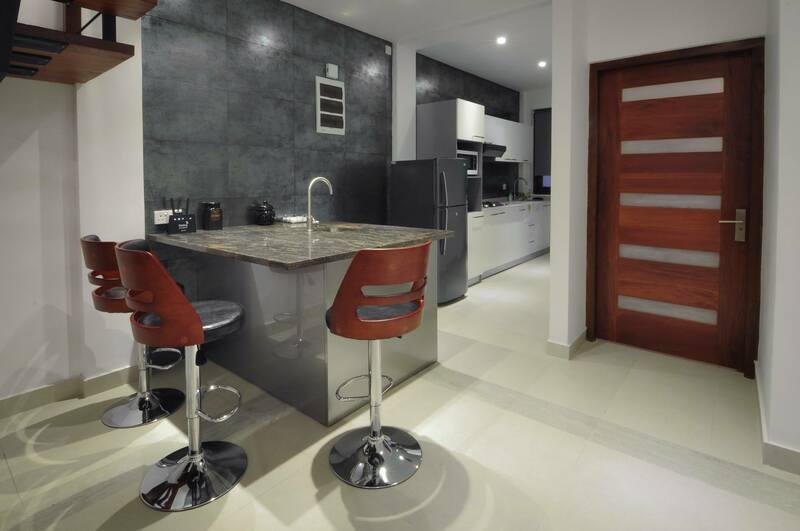 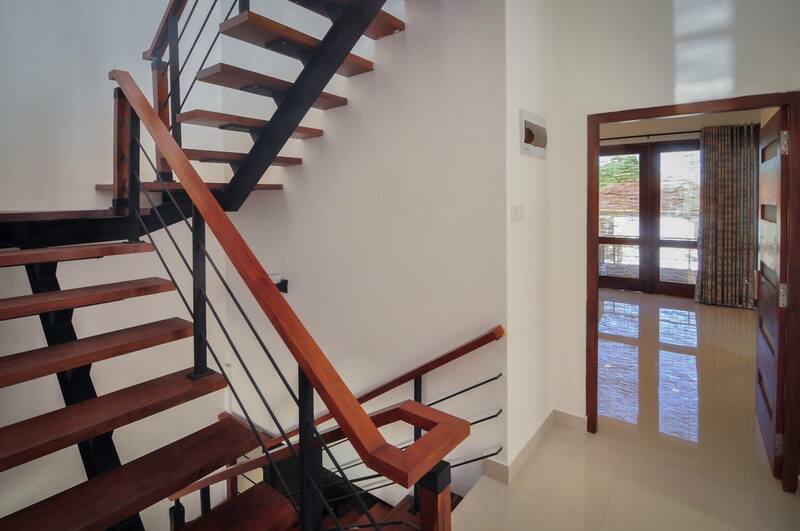 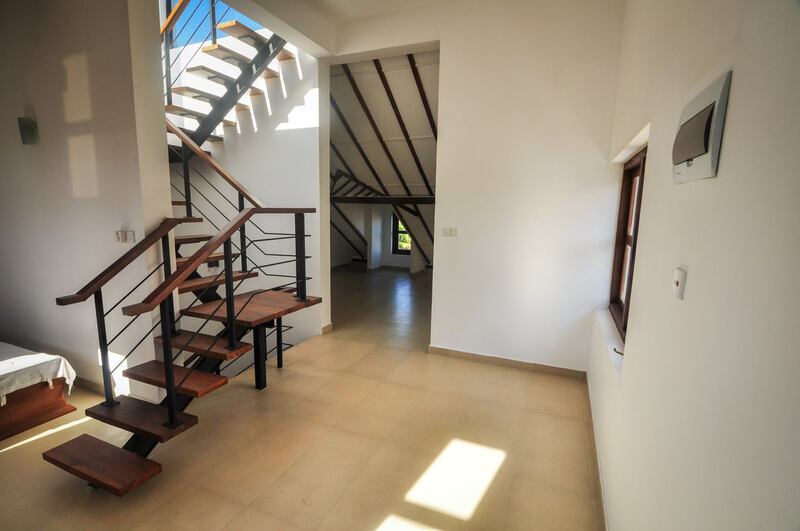 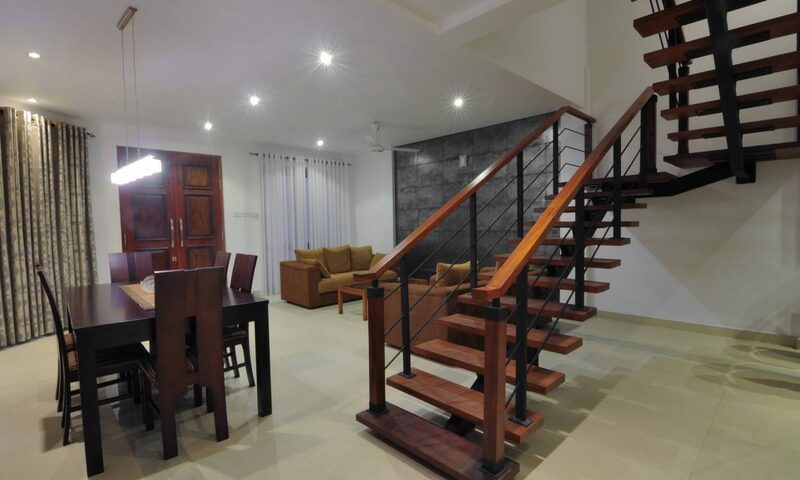 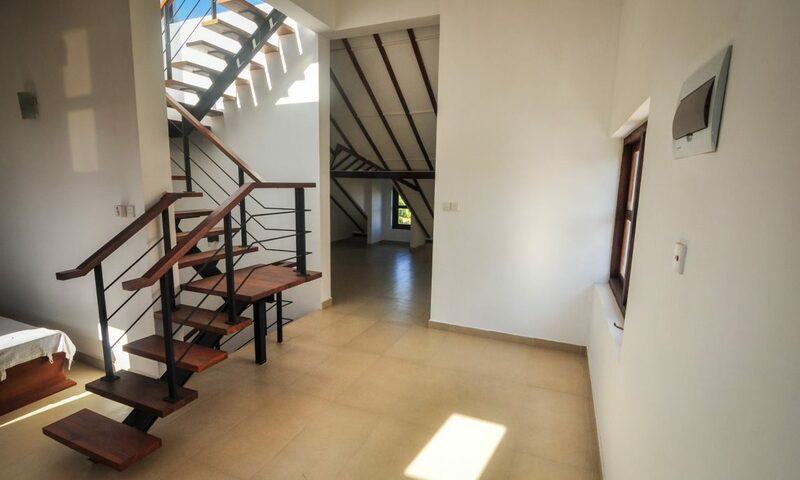 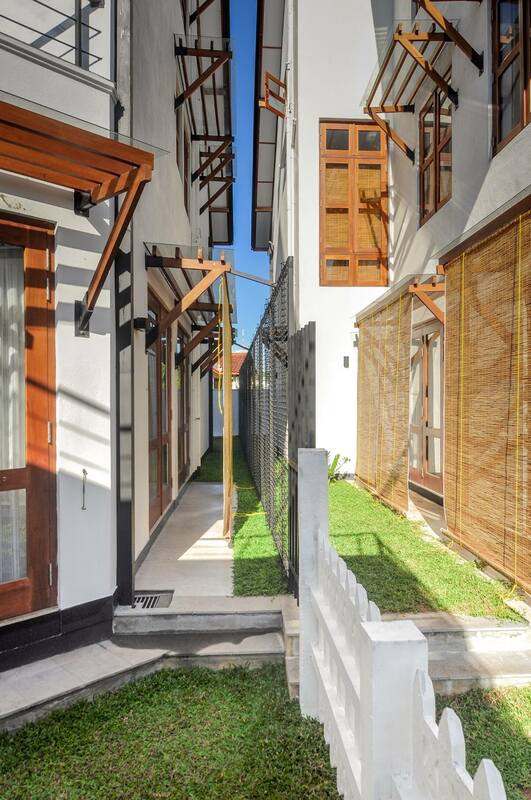 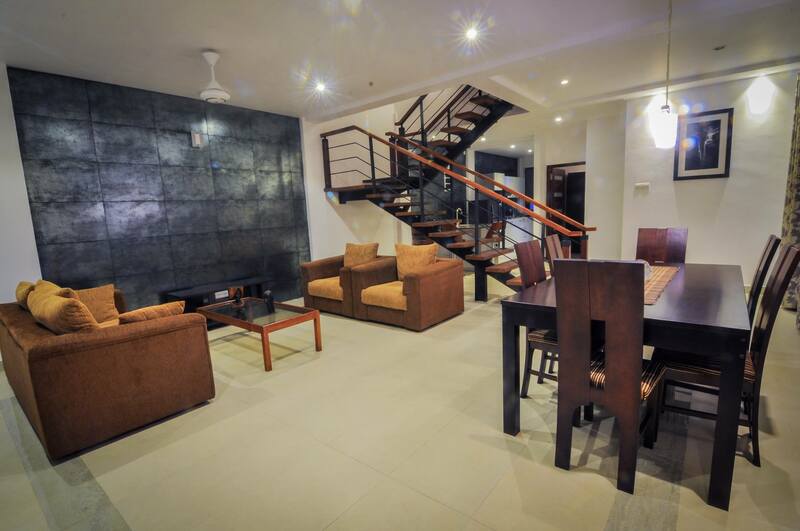 The upper studio level was designed with an attic floor with the pigeon windows facing both canal and city gaining maximum floor space within the height creating an attractive two twin town houses with beautiful views all around Colombo.